With a view of the ocean, Honolulu and Diamond Head in the distance, the trade winds gliding over the Ewa Plains, Makakilo is what this smaller community calls home. 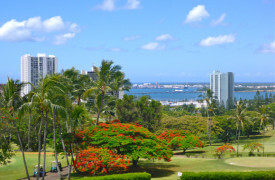 Makakilo was ranked as one of CNN Money’s Best Places to Live in 2007, and its prime attractions include calm and charming beaches and a home that is not overwhelmed by the tourists that overwhelm Waikiki. Makakilo has continued to benefit because of its affordable housing, relatively unknown attractions, and a strong number of restaurants, shops, and recreational activities available in nearby Kapolei. Kapolei’s rapid expansion has left to Makakilo resident discovering the commute to Honolulu is unnecessary. If you are heading to Makakilo from downtown Honolulu, expect to drive at least an hour if there’s no traffic. Kapolei is basically sprawled over the Ewa plains below on the south side of the freeway. Coined the “Second City,” Kapolei is a master-planned city in Honolulu County, becoming a center for government, business offices, shopping malls, dining, and entertainment. 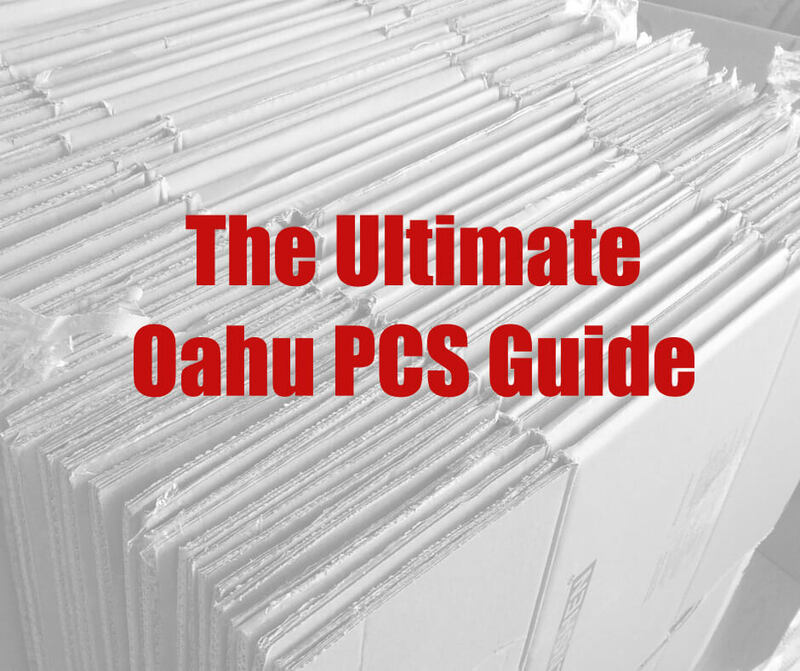 More mainland brand names such as Walmart, Safeway, Home Depot, Ross Dress for Less, The Container Store, and TJ Maxx have locations at Kapolei. Because of this growing base of employment and amenities, more people are choosing to search Kapolei and Makakilo for a home. 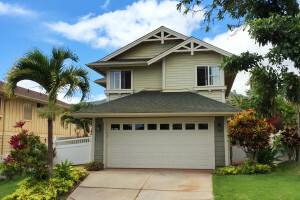 You can find homes & property for sale Makakilo neighborhoods right now. Use the links below and you’ll be looking over full MLS listings in moments. Makakilo is similar to a large residential neighborhood, and located above the H1 freeway on the slopes of the Waianae mountain range on the South West tip of Oahu. 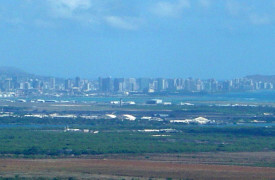 Makakilo overlooks the city of Kapolei (about a ten-minute drive from the top of Makakilo). 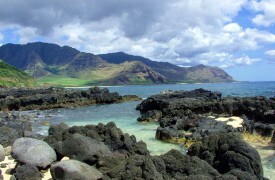 Because it encompasses quite a bit of mountain range, Makakilo residents enjoy cool mountain breezes and views of Kapolei and the ocean. Some homes also may have views of Pearl Harbor and Diamond Head. Makakilo was initially built in the 1960s beginning on the lower slopes and extending upwards. 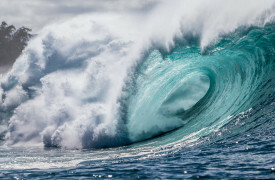 Home prices on the lower slopes could range from the low $300,000 for a small, below average condition home but more likely mid-400,000s for an average home to $700000 for a large home the size of a multi-family dwelling or one with an Ohana cottage (in-law cottage). You also will find some new to newer home and townhome developments built approximately in 2005 to date by Hawaii’s premier developers of master planned communities, Castle and Cooke as well as D.R. Horton-Schuler. The streets are relatively wide, which add to the feeling of spaciousness. The homes look well cared for since there are master association rules re exterior paint colors and condition. 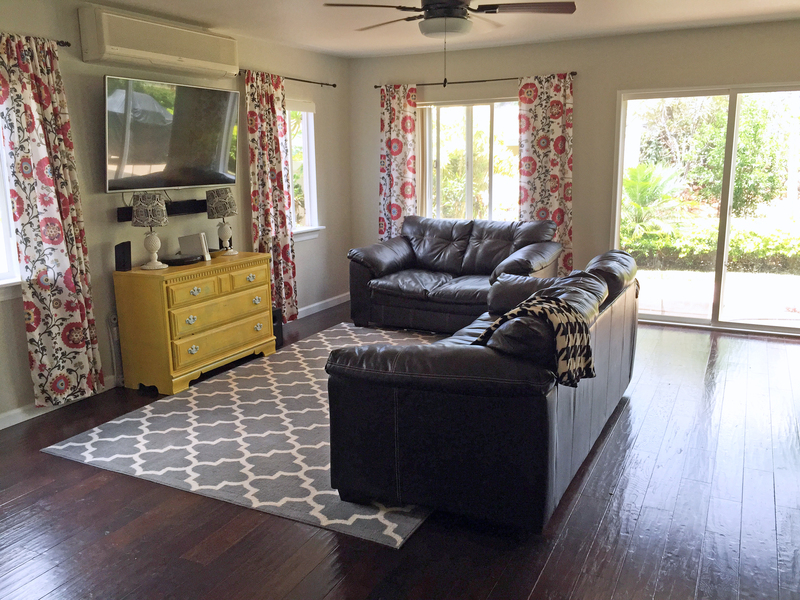 There was a boom of construction and the homes are relatively large and affordable for Oahu. Prices for these newer homes today could start as low as $485,000 and go as high as $1,100,000. Interior living sq.ft. ranges from 1,000 to 4,000 sq.ft. 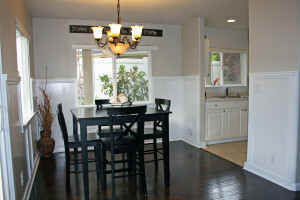 on lots ranging from 3,485 to 14,398 sq.ft. The newest subdivision Kahiwelo whether looking at the homes built in 2009 or 2015 start around $700,000. 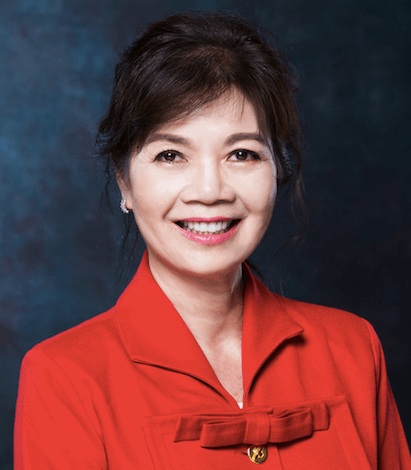 Many first time homebuyers, second home buyers, and investors look at this area and choose to live here, especially when comparing what the same price gets you in the downtown Honolulu neighborhood – Kakaako: for less than the cost of approximately a new 900 sq.ft. condo, you can have a newer home on some land with ocean views. One of the attractive features of Makakilo is that many of the homes here still qualify for 100% USDA (United States Department of Agriculture) financing for subrural housing. Meaning, since saving money for a downpayment or reserves is the hardest part of the buying process, this financing option increases the number of qualified buyers for homes in this neighborhood. One of Makakilo’s main attractions is the Barbers Point Lighthouse because of its subtle architecture and magnificent surrounding landscape. 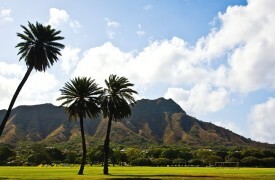 Barbers Point Beach Park is also the center for the local Germaine’s Luau that caters to international guests nightly. 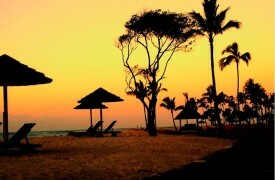 The beach is also a great place for recreational activities. 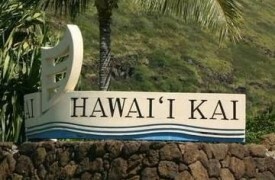 The Hawaiian Waters Adventure Park is also located in Makakilo and is the only water park in the state. Ko’olina, a casual, luxury vacation resort, is about a ten minute drive from Kapolei on the Highway. 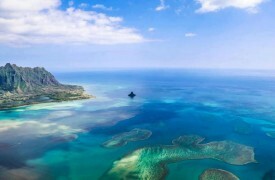 It has a beautiful marina and harbor, golf course, and lagoons with beach park and wedding chapel. 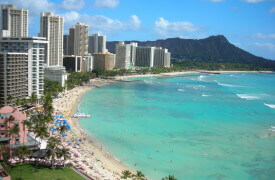 You’ll find the Paradise Cove Luau, Aulani Disney Resort & Spa, the Marriott Beach Club, and soon the Four Seasons. Across from the Aulani Disney Resort, you will find the Ko’Olina Station or commercial-mixed used center that has a small assortment of shops for tourist gifts and furnishings, bars and restaurants, coffee and ice cream shops, and art galleries. 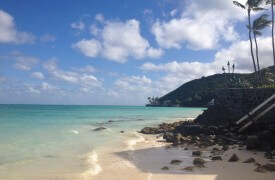 You’ll find mostly tourists, newly stationed military persons, retirees and some locals enjoying the area. 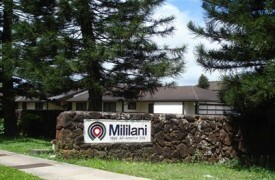 You can find homes & property for sale in Makakilo neighborhoods right now. Use the links below and you’ll be looking over full MLS listings in moments.